An interesting prequel to SECRETS IN THE TUDOR COURT, this story explores the early life of Thomas Howard, 3rd Duke of Norfolk. As a young boy, during the volatile finale of the Wars of the Roses, Thomas is bullied and humiliated repeatedly by his grandfather, the 1st Duke of Norfolk. His unaffectionate parents are inattentive at best–his father busy trying to stay in royal favor while his mother tries to break all maternal bonds with her children, because she cannot stand losing them to illness and disease. Even with such an upbringing, Thomas turns out chivalrous and his marriage to the princess Anne Plantagenet is a happy one, until the losses begin. We see the gradual affects of each and when he finally reaches the breaking point, his resulting personality flaws–as read in SECRETS–are finally explained. Elizabeth Stafford, stubborn, clever and outspoken, is the daughter of the 3rd Duke of Buckingham. Thomas, being more than two decades her senior, was not looking for a love match, but an alliance and heirs. There was chemistry between the two, however and an overwhelming need on her part. As such, when Norfolk moves his mistress into the family home, things aren’t exactly peaceful. While Bess Holland isn’t a harpy bent on usurping the Duchess’s place, she meekly accepts the environment of domestic violence in the Howard home. 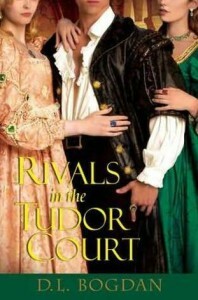 Told in three characters’ POV (Thomas Howard, his wife, and his mistress) this revealing story of one of England’s most notorious noblemen is a must read for Tudor fans! I read it in under two days and count it among my favorites of the era. If you have not read SECRETS IN THE TUDOR COURT, I believe it may be best to read RIVALS first, to gain an understanding of what made Norfolk such a brute–and that strange relationship with his daughter, Mary.